If you've suffered a serious eye injury, your entire life may have changed. No matter what type of accident caused your eye injury, we know that you have piles of medical bills. You may not be able to do the same type of work you did before. You may have permanent eye damage and deserve compensation for pain and suffering. Edgar Snyder & Associates can help you during this difficult time. We know that no amount of money can erase what happened to you or bring back your eyesight. But we can get you the money you deserve. Blunt Trauma / Traumatic Injuries – punctures, ruptures, abrasions, lacerations, contusions (bruises), etc. of the globe or globe lining, cornea, eyelids, etc. Sometimes eye injuries are permanent, which changes your entire life. We can't turn back the clock – even though we'd like to – but we can get you the money you deserve for your eye injuries. We gather evidence and hire experts when necessary to build your case. 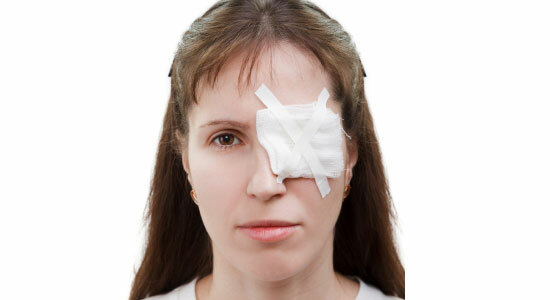 We protect you and fight to win your eye injury case. We take away your worries so you can focus on your health. And remember, there's never a fee unless we get money for you – so you have nothing to lose.